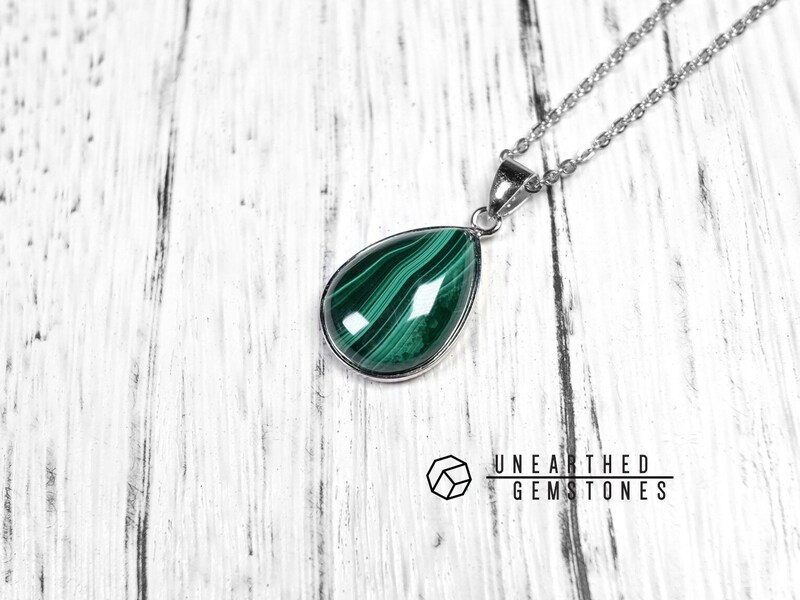 This necklace uses high-quality malachite with lush green colors and clear horizontal patterns, the two things that make malachite stand out in its unique appearance. 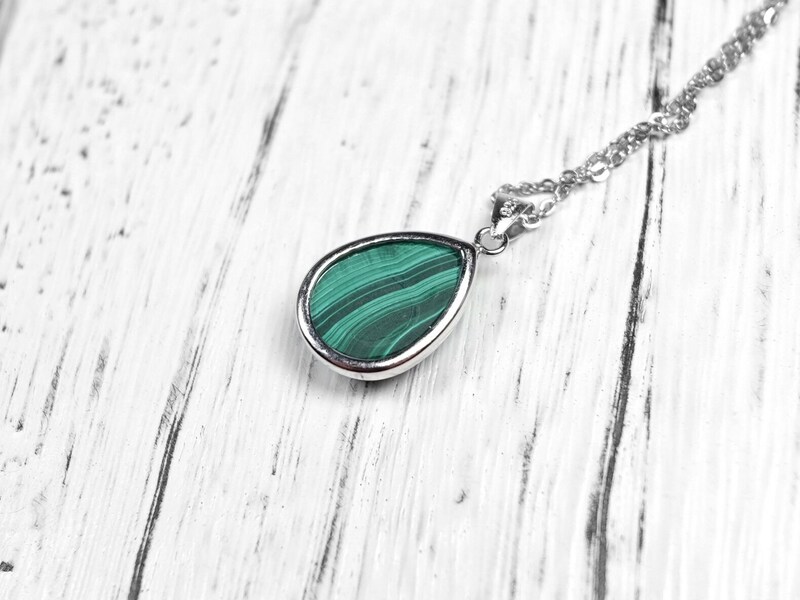 The quality malachite is set in a 925 sterling silver bezel. 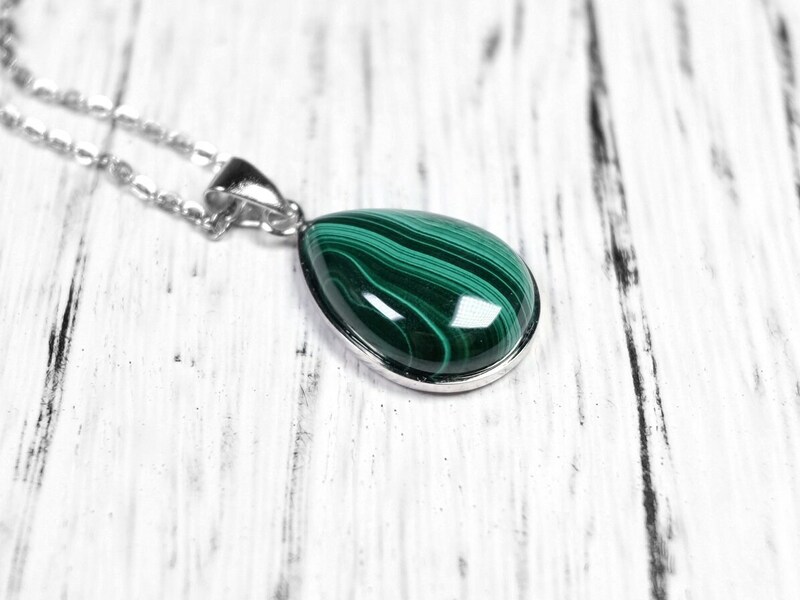 Please note that this is a genuine malachite. 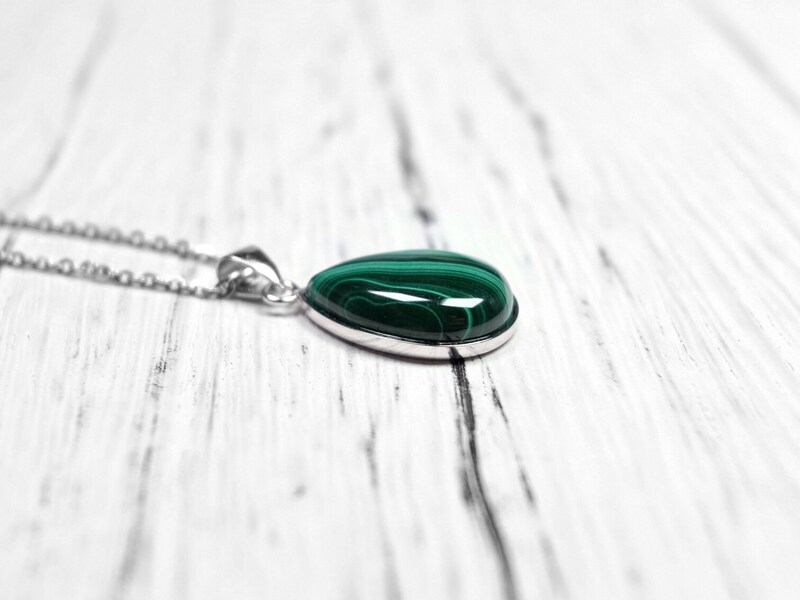 There are quite a lot fake/reconstituted malachite in the market. 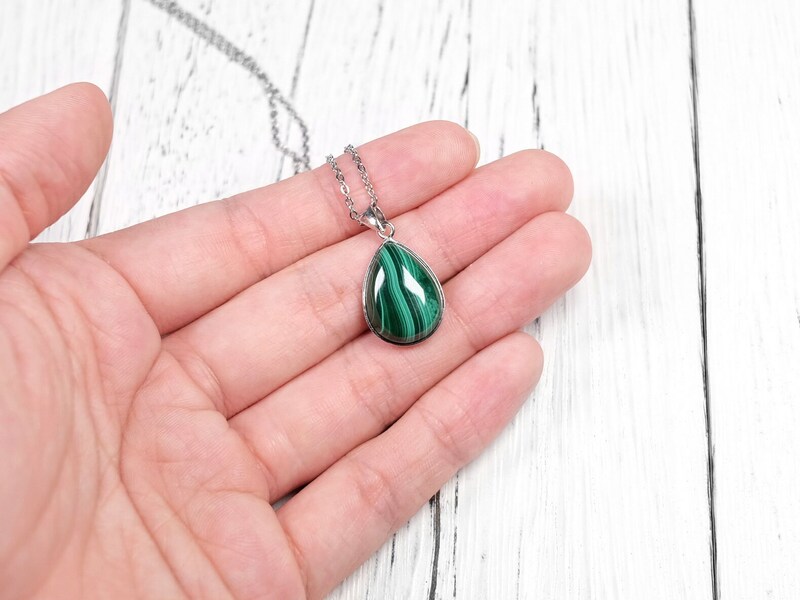 They usually have really contrasting colors (the lines are really dark, almost black) and a lot of the patterns are straight lines. 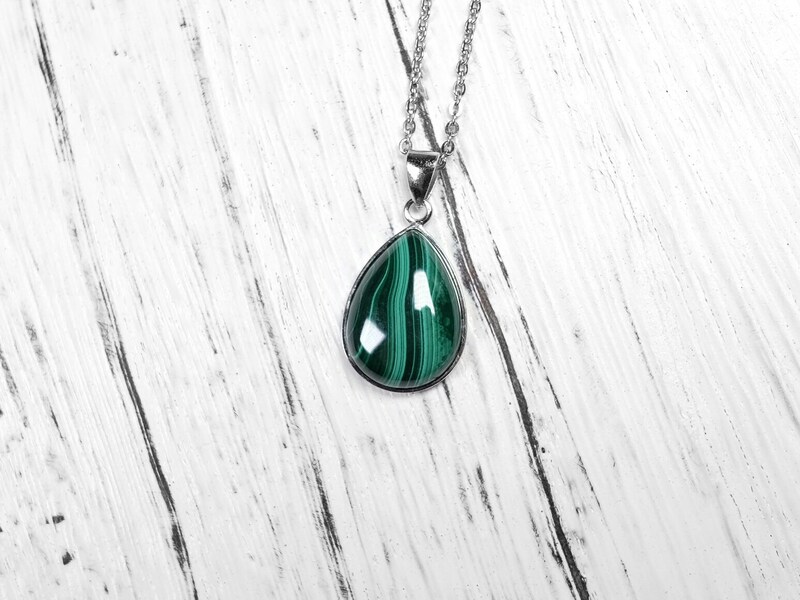 Malachite is a copper mineral that is green in color. 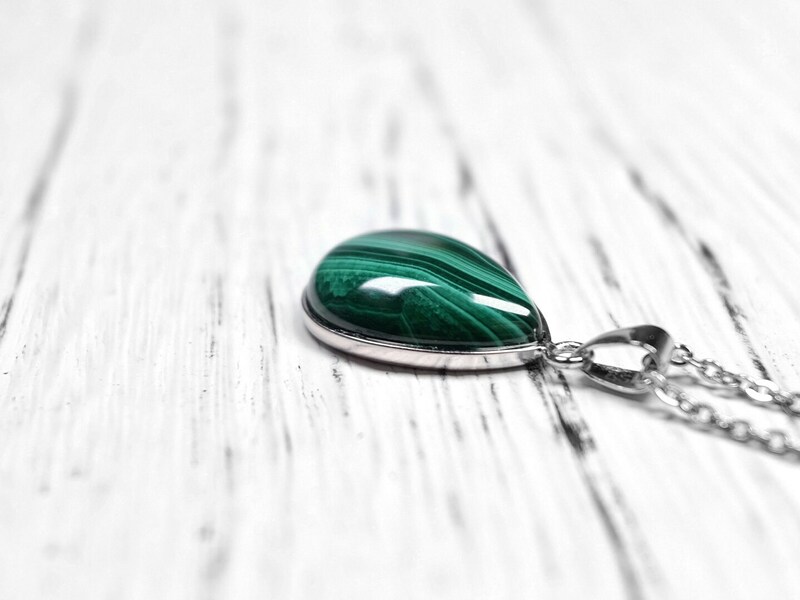 It is often banded in appearance like an agate. 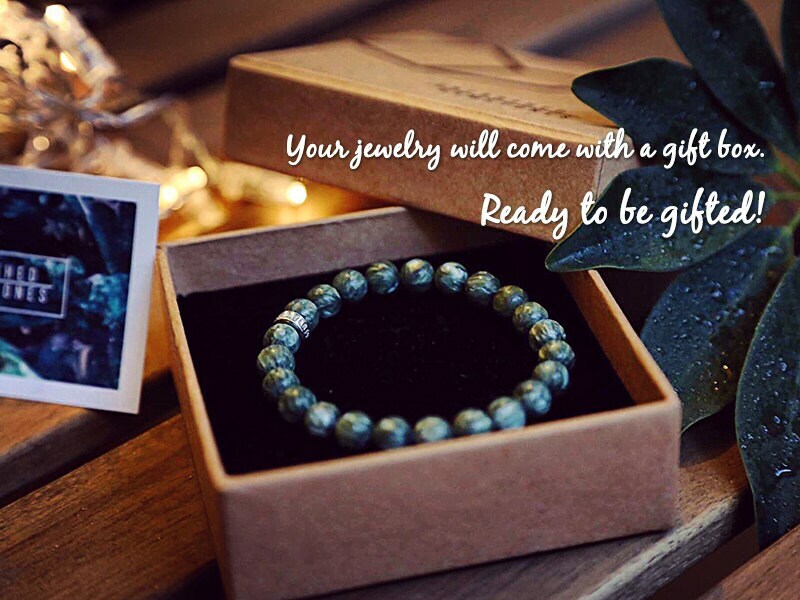 Striking and intriguing patterns are demanded by gemstone enthusiasts. 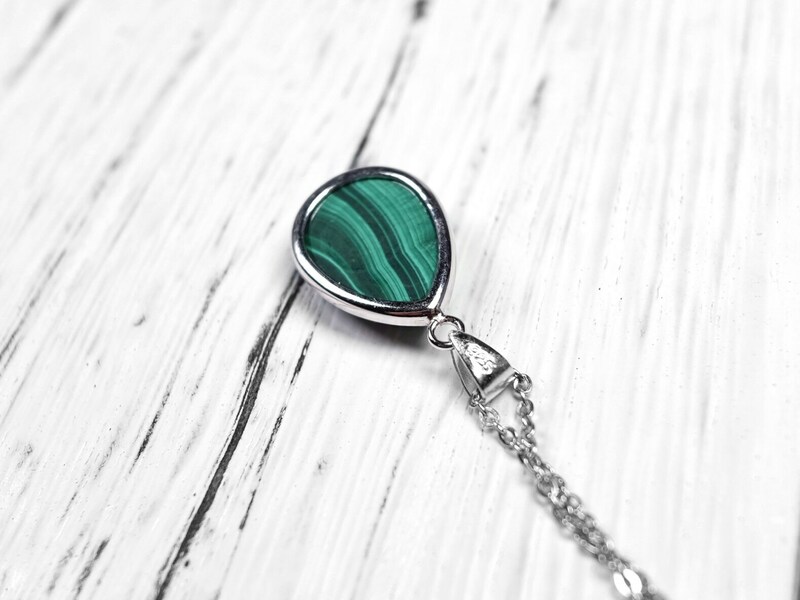 In ancient time, malachite was used to make jewelry, ornaments, and even color pigments in its powdered form.